For most of the summer I’ve been in the hot California desert working at camp, hence my long blogging hiatus. I’m back to real life now…but real life looks totally different than before. 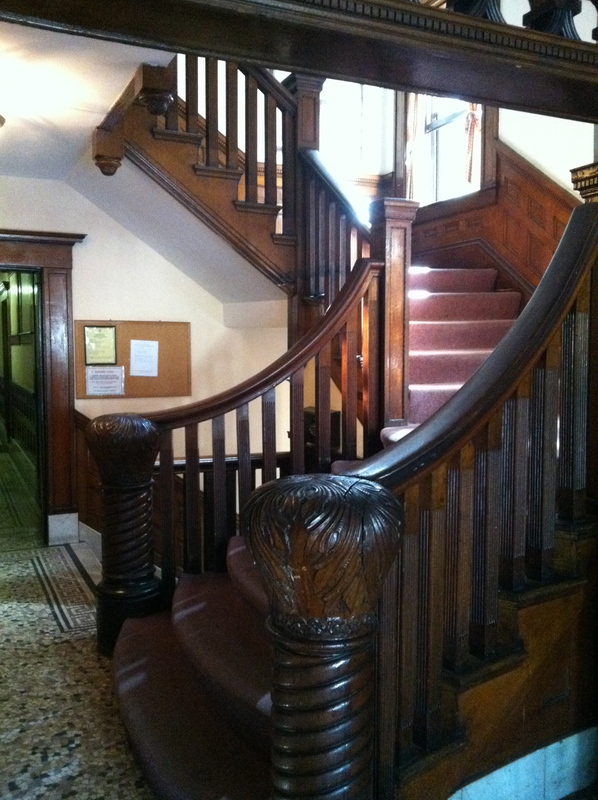 The jump from the Midwest to the East Coast has resulted in – if nothing else – a much classier stairwell. Although I’m not in Boston for very long (only a couple weeks before a much bigger move to Israel! ), there were a few things that I was looking forward to doing during my time in Boston. First and foremost, exploring the new area! 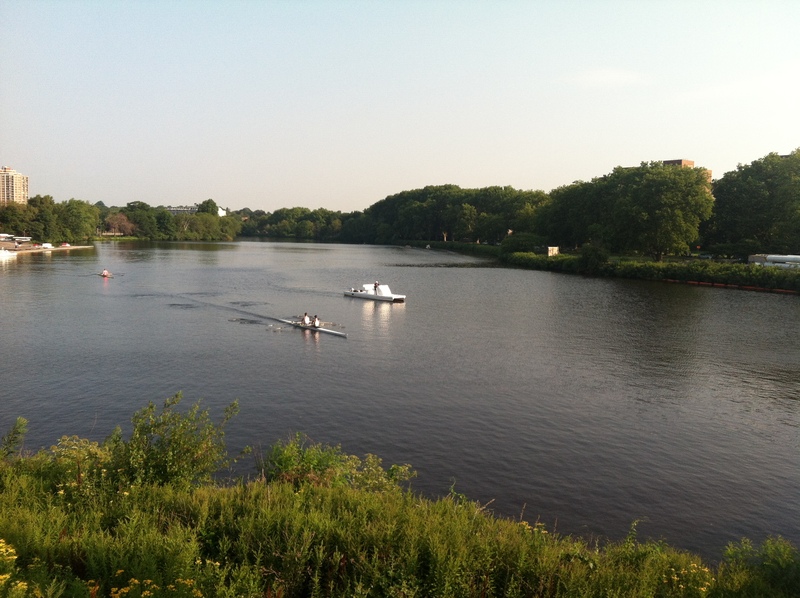 I love finding and trying new cafes, coffee shops, and restaurants, and while there was certainly more exploration to be done in Minneapolis, moving to Boston provides a whole new crop of activities. 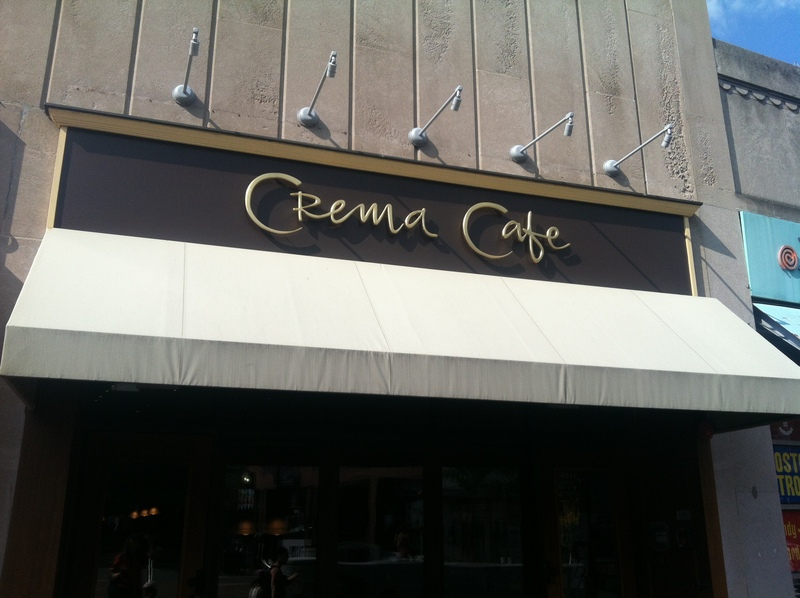 During one of our first days in Boston, Noah and I got coffee at Crema Cafe in Harvard Square. I got an iced Americano and thought it was amazing! I’ve been back a handful of times since. In addition to coffee, they also have a nice selection of baked goods and a small menu of sandwiches, soups, salads, and breakfast items. The drinks definitely shine more than the food, but the food is still good. Be warned, however, that Crema does NOT have wifi. A clever trick indeed for a coffee shop! 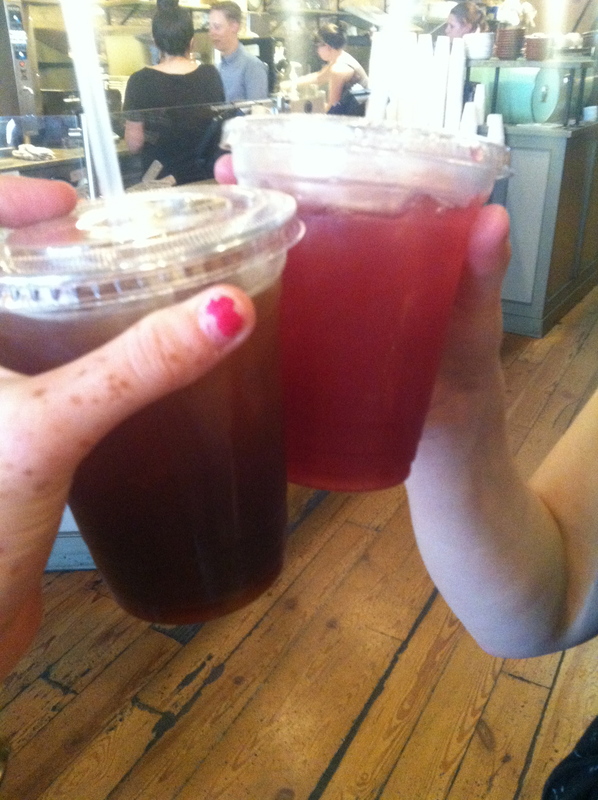 I was also really excited to try the November Project during my time in Boston. I first read about The November Project in a Runner’s World Magazine article from November 2013. The November Project is a free fitness/social group that meets in the wee hours of the morning (ie, 6:30am). It was started in 2011 by two friends who committed to working out together every morning during the month of November. To increase motivation, they started posting about their workouts on Facebook and other social media, inviting others to join. Incredibly, people started coming, and today, as many as 600 Bostonians meet on any given Monday, Wednesday, or Friday to work out with the November Project. The group has also spread to 16 other cities! 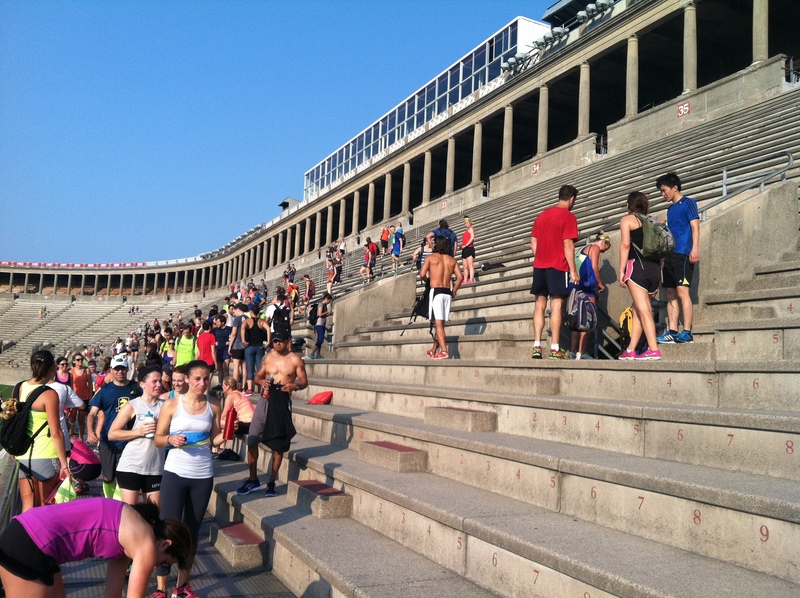 The iconic November Project workout is running the Harvard Stadium stairs (yes, all of them! ), and the group continues to do the stadium workout every Wednesday. Monday workouts are held at traveling locations and Friday workouts are running Corey Hill in Brookline. 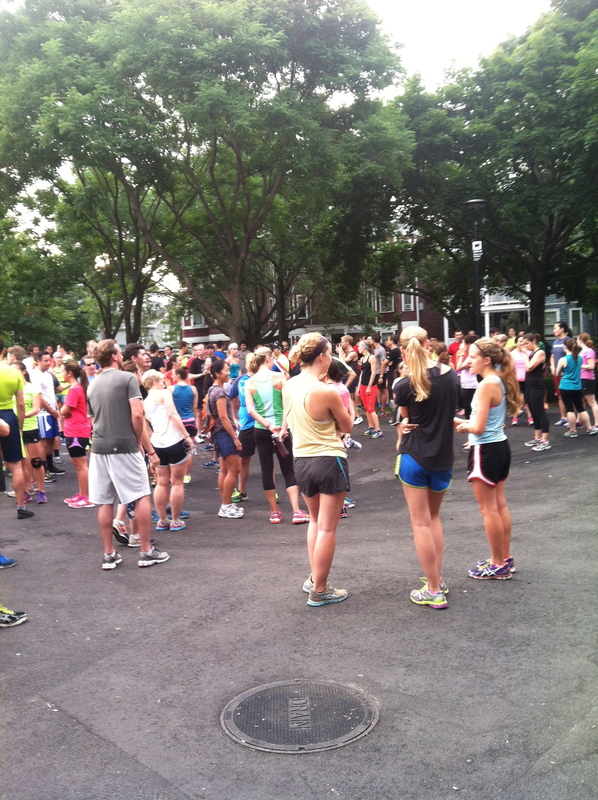 On Monday, I went to the traveling workout – this week at Old Morse Park in Cambridgeport. I wasn’t quite sure what to expect, but when I arrived at the park I immediately found a large group already gathered. Even though I knew a lot of people go to November Project, it was still surprising to actually see so many people! The November Project cofounders, Brogan and Bojan, still lead the group each meeting. Monday workouts are usually shorter because the assumption is that people run to and from the workout, so after a brief warm up, the workout was seven minutes of nonstop burpies. It was definitely tough and my chest was sore for the rest of the day! After the workout, Brogan and Bojan take a photo of the group, give out the ‘positivity award’ to one lucky participant, and ‘Happy Birthday’ is sung to anyone who has a birthday that day. 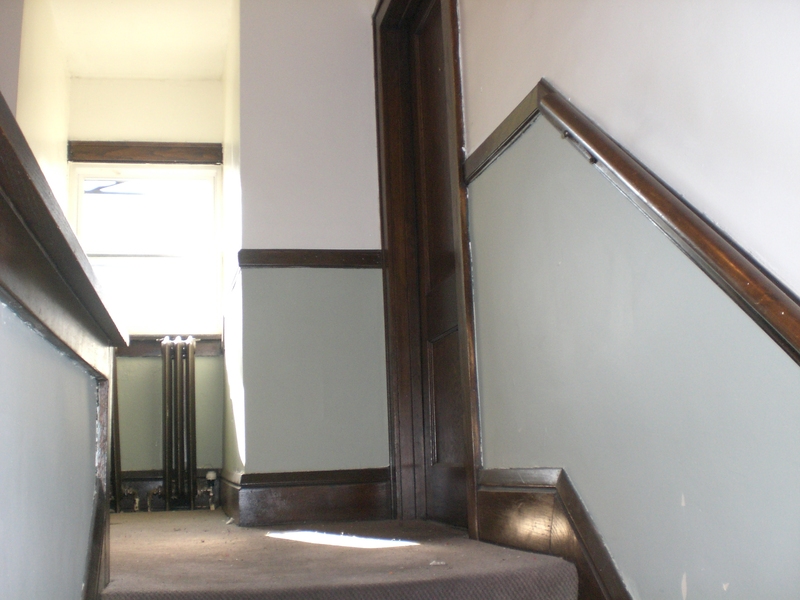 After the Monday workout, a group of regulars had breakfast together at a nearby apartment. Since I knew one of the regulars from Minneapolis, I tagged along! 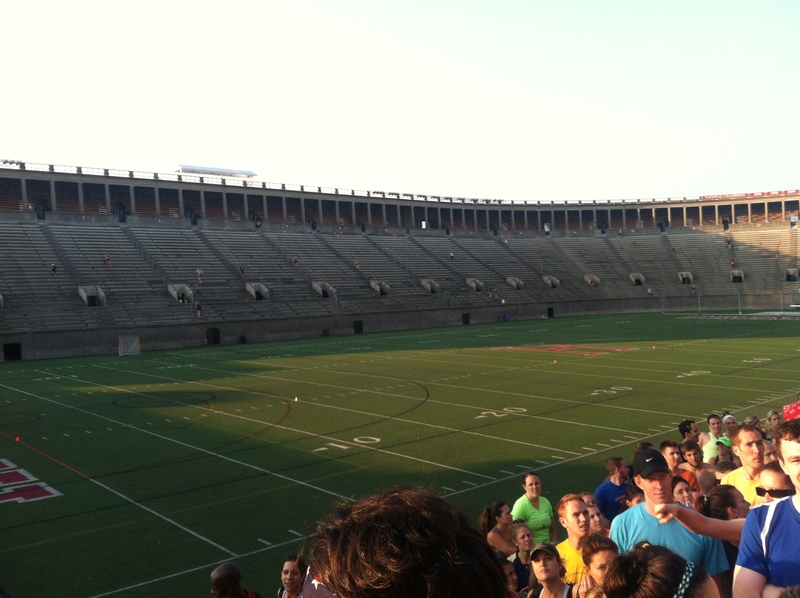 After Monday, I was a little hooked and wanted to see what all the fuss was about for the Harvard Stadium steps. 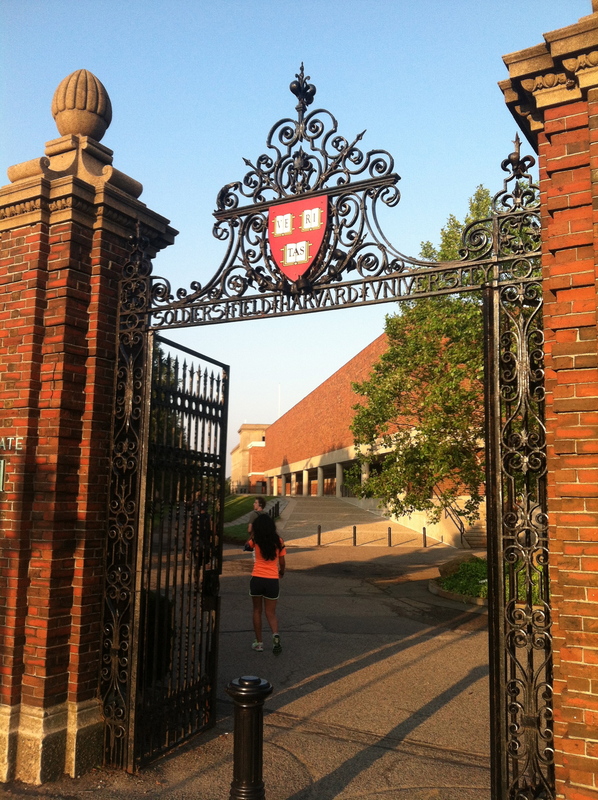 So, Wednesday morning, I woke up bright and early again and took a short jog over to Harvard Stadium. 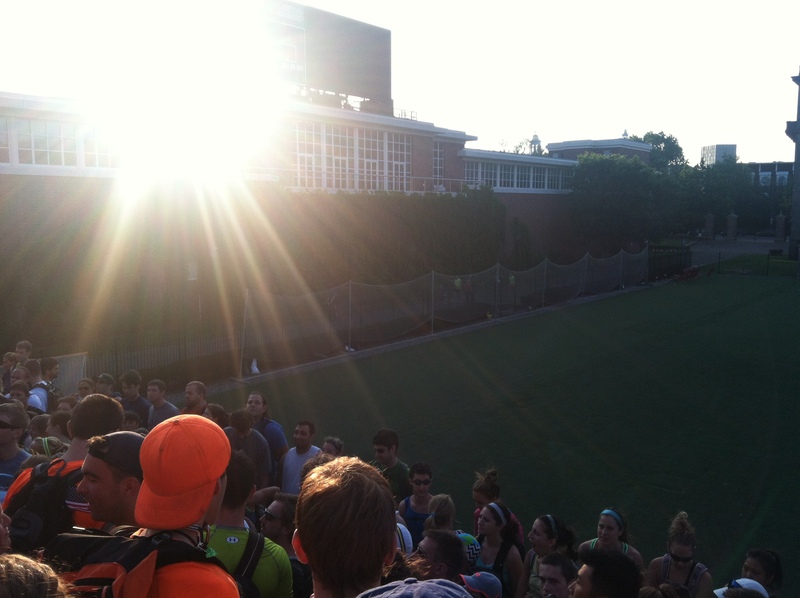 There were a lot more people there for the stadium workout than the Monday meeting, and the crowd was a lot more diverse (ie, not only young people). There was one older man (probably in his mid-late 60s) who was there with a trombone that he played during the workout for added motivation! 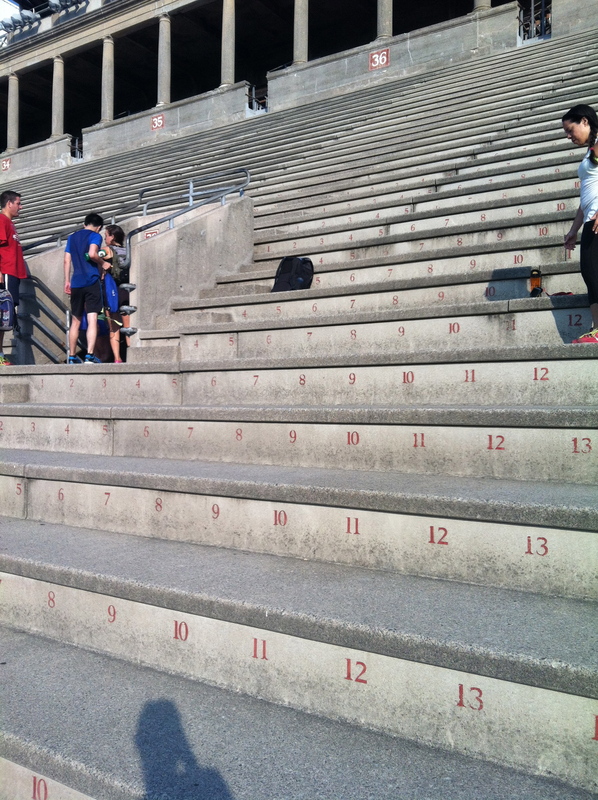 Harvard Stadium has 37 sections, and the workout is to run up the big steps and walk down the small ones. For me, running quickly turned into walking about halfway up each section. To complete all 37 sections is called ‘a tour,’ and Brogan told the newbies (people who had never done the steps before) to aim to complete a half tour. I completed the half tour plus three additional sections. Holy cow, it was SO difficult! I thought it would be tough, but it far exceeded my expectations. My legs were shaking by the end, and I have been incredibly sore since! The stadium steps definitely had a little bit of an addictive quality to them, and I’m already looking forward to going next Wednesday and trying to complete a full tour! This weekend, Noah and I are taking a bike trip to Martha’s Vineyard, so I hope to be able to post soon about that adventure!